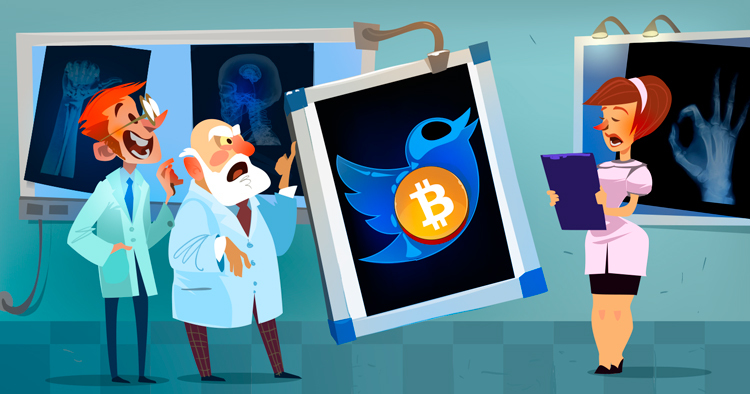 Twitter itself can cause a noticeable growth of the cryptocurrency market if those who invest become more active on the social network. Researchers at Yale University have noted the fact that certain tweets correlate with cryptocurrency prices. A particular study of this issue, conducted at the Stockholm School of Computer Science and Communication in 2017, made it possible to accurately predict the behavior of the cryptocurrency market with a 79-percent probability on the basis of the analysis of 2.27 million tweets that mentioned Bitcoin. This year, the sample already contained 16.2 million tweets, which were used to track the rate of Bitcoin to the US dollar for 67 days. The researchers’ conclusion is unambiguous: the results indicate that positive attitudes on Twitter have a positive effect on the change in the Bitcoin rate. At the same time, a comparison of sentiments among representatives of traditional banks and investment funds with the mood prevailing in the Twitter community shows greater optimism of the first rather than the second. This is stated in the October study by Fundstat Global Advisors. The majority (54%) of institutional investors believe that Bitcoin will not fall further in price. The confidence in such a market development among the Twitter community is noticeably less at 44%. Similarly, the pessimism also manifests itself in relation to the rise in the price of Bitcoin by the end of 2019: 60% of those interested in cryptocurrencies and writing tweets on this topic do not believe that cryptocurrency number one will increase in price by this time to at least $15,000. And on the contrary, the majority (57%) of institutional investors are convinced of such a positive scenario. It is evident that the cryptocurrency community does not purposely use Twitter as a tool to influence public opinion to arouse the real enthusiasm of new investors, primarily individual ones, and the growth of the market to new heights. Instead, one can watch the rise of fraudulent Twitter accounts offering to distribute cryptocurrencies. The solution to this problem is impossible without the active actions of Twitter’s management, and this is where the most interesting stuff begins. Fraudulent bots are not being blocked, despite user complaints, but often work from verified accounts. For example, Twitter is host to many “Elon Musks,” which function in this way (there are examples here and here), promising to distribute a large number of cryptocurrencies in exchange for receiving a small amount of crypto onto their accounts. Thus, we have a massive version of typosquatting, which is only increasing in scale. 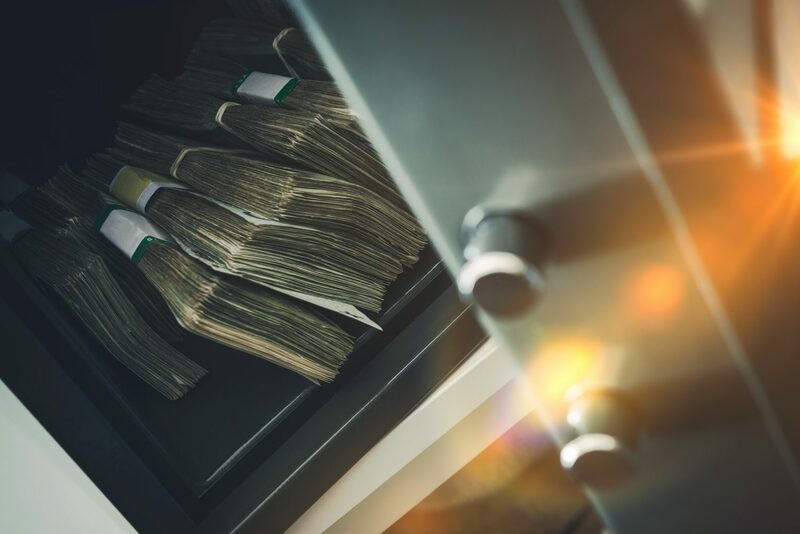 This phenomenon discredits the entire crypto industry, as it creates a distorted view among officials from regulatory agencies that the crypto industry allegedly cannot “get rid” of such a flourishing of fraud, in which the daily gross turnover of only one criminal scammer group is on average from $50,000 to $100,000. In addition, the bloom of cryptocurrency scam bots on Twitter strikes cryptocurrencies that are being “handed out.” No one speaks of this, but such a phenomenon can be safely considered one of the factors reducing the price of Ether in the current year. Moreover, given that Ether is one of the most popular cryptocurrencies for financing ICO teams, this is a blow to the economic component of those who want to issue their tokens. It cannot be ruled out that the alleged “inability” of Twitter’s leadership to block such bots en masse is motivated by the political interests of those who thus would like to try to “prevent” cryptocurrencies from competing for a fundamental change in the institutional landscape of the global financial system. In a world where reputation becomes the main instrument of influence, and the information is the most expensive commodity, Twitter can be used not only to support cryptocurrencies but also against them. Such an opinion is justified by the position of Jack Dorsey, the head and co-founder of Twitter. On the one hand, he declares that he would like to see Bitcoin “the native currency of the Internet.” Moreover, Dorsey is the founder and head of the Square company, which, having released the CashApp mobile application, provides the opportunity to buy cryptocurrencies. By early October, the user base of the app has grown rapidly, by three times, as reported by analyst Kevin Rooke. In addition, 2 million commercial enterprises can be connected to the application. But what’s wrong? Dorsey, as many claim along with Rooke, “loves Bitcoin,” but a strange logical play continues on Twitter. Advertising ICOs and cryptocurrencies on a social network is prohibited, while fake but verified “Elon Musks” can not only engage in fraudulent activities that discredit cryptocurrencies but also use paid promotion. Moreover, Twitter blocked Elon Musk’s official account when he just mentioned Bitcoin. Only under pressure from the public, the leadership of the social network was forced to unblock it, which once again confirms that the cryptocurrency community must actively influence the information policy of those means of communication that are significant for the crypto world. Dorsey’s position raises questions: Why is he ready to openly support Bitcoin in the cryptocurrency community, but when he was called to the U.S. Congress, he never mentioned either cryptocurrencies or blockchain in his 11-page speech that was prepared beforehand? Just responding to a question from Doris Matsui, the U.S. Representative for California’s 6th Congressional District, Dorsey said only a few reluctant words about blockchain and nothing about cryptocurrencies. His Square formally continues to evolve, as it received a prestigious license from the New York Department of Financial Services. The company has registered the exclusive right to a specific type of secure transactions with cryptocurrencies, which raises questions, because according to the patent, the application “is moving” to a private blockchain, and the principle of decentralization is lost. The very practice of registering patents as an attempt to “stake out” and monopolize the right to certain aspects of cryptocurrency activity also raises the question as to why this is being done. Finally, on October 23, Square announced that it intends to open a “cold storage” for cryptocurrencies. It seems to be a good thing, but the last initiative focused on institutional investors does not fit in with how much net revenues the operations with cryptocurrencies yield to Square. According to the latest available data, which was not even audited, in the first seven months of 2018, it was $48 million. Who are you, Mr. Jack Dorsey? He is not ready to uphold new financial technologies before the regulators. His policy of deleting Twitter accounts, as well as the exclusion of some tweets from the feed, raised suspicions of bias in the framework of domestic political discourse in the United States. We are, however, interested in something else: Does Dorsey understand that blockchain and cryptocurrencies are the technologies that will change the nature of communication between people, and that the mere introduction of blockchain into the social network could put an end to fraudulent scam bots that create real interference for the interaction of the representatives of the crypto community? The crypto world needs Twitter since notifications on mobile devices and the very format of communication make it possible to use the platform as a substitute for SMS for cryptocurrency transactions. Recently, Jack Dorsey said that he, unlike many, makes a list every day not of what needs to be done but of what should not be done. Obviously, the question of removing or not removing the “Like” button is not included in such a list. It is more important, however, to retain users of the social network, among whom are some of the most active participants in the crypto community, by explaining the ambivalent position taken by the management of Twitter.